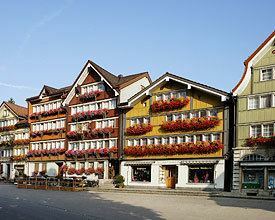 Urnäsch is a municipality in the canton of Appenzell Ausserrhoden, Switzerland. In 831 AD a part of Urnäsch known as Färchen was first mentioned. In 1344 the village is sold to the German Earl Werdenberg, but later the Abbey of St. Gall acquired the land. 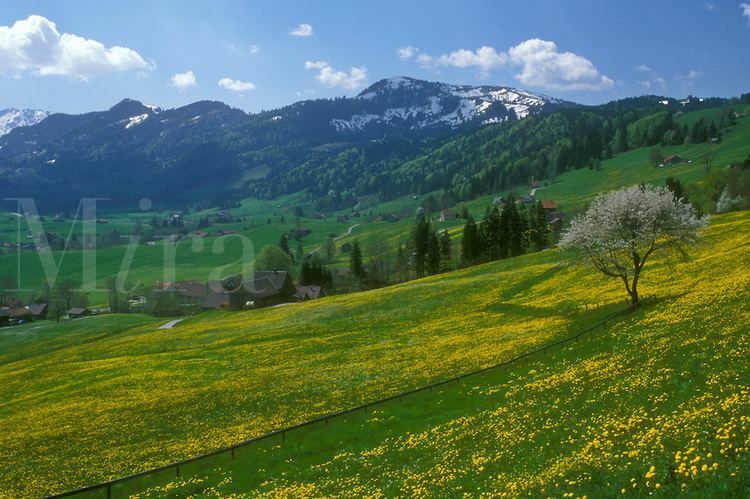 After the battles in Vögelinsegg (1403) and Stoss (1405) the land gained independence as part of Appenzell. In 1417 a church was built. 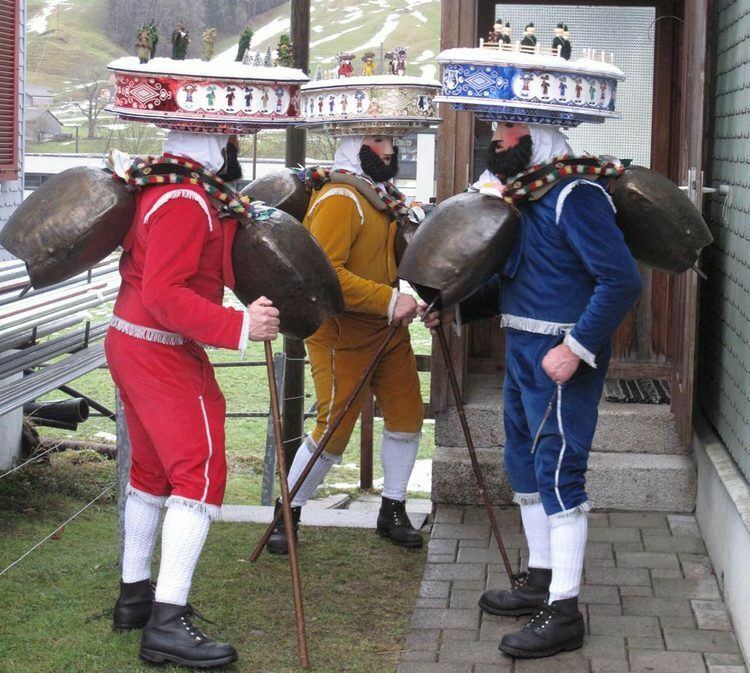 This is considered the formal establishment of Urnäsch. There was a devastating fire in 1641. Urnäsch has an area, as of 2006, of 48.3 km2 (18.6 sq mi). Of this area, 53.9% is used for agricultural purposes, while 41.1% is forested. Of the rest of the land, 3.4% is settled (buildings or roads) and the remainder (1.7%) is non-productive (rivers, glaciers or mountains). The elevation of the village is 838 meters (2,749 ft). The lowest elevation is the Murbach which is 722 m (2,369 ft), while the highest point is the Petersalp which is 1,590 m (5,220 ft). Urnäsch has a population (as of 2008) of 2,268, of which about 11.6% are foreign nationals. Over the last 10 years the population has decreased at a rate of -3%. Most of the population (as of 2000) speaks German (93.0%), with Serbo-Croatian being second most common ( 2.3%) and Italian being third ( 1.0%). As of 2000, the gender distribution of the population was 50.6% male and 49.4% female. The age distribution, as of 2000, in Urnäsch is; 216 people or 9.2% of the population are between 0–6 years old. 316 people or 13.5% are 6-15, and 121 people or 5.2% are 16-19. Of the adult population, 143 people or 6.1% of the population are between 20–24 years old. 651 people or 27.9% are 25-44, and 495 people or 21.2% are 45-64. The senior population distribution is 276 people or 11.8% of the population are between 65–79 years old, and 118 people or 5.1% are over 80. In the 2007 federal election the FDP received 70.6% of the vote. In Urnäsch about 57.4% of the population (between age 25-64) have completed either non-mandatory upper secondary education or additional higher education (either university or a Fachhochschule). Urnäsch has an average of 161.6 days of rain per year and on average receives 1,803 mm (71.0 in) of precipitation. 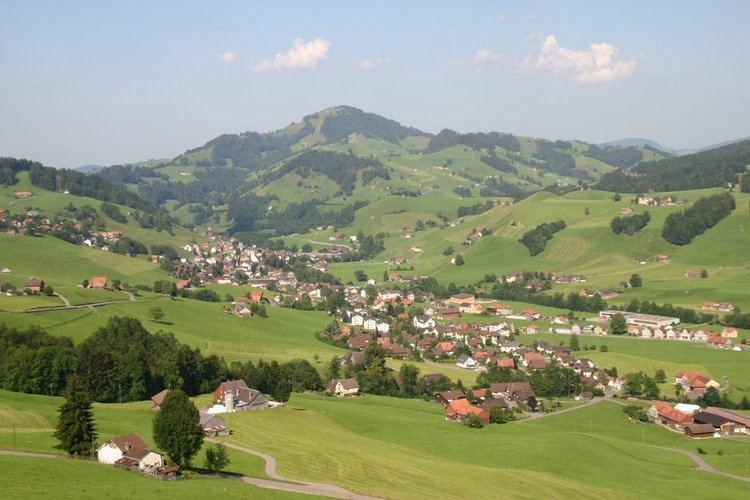 The wettest month is June during which time Urnäsch receives an average of 210 mm (8.3 in) of precipitation. During this month there is precipitation for an average of 15.5 days. The month with the most days of precipitation is May, with an average of 15.8, but with only 177 mm (7.0 in) of precipitation. The driest month of the year is October with an average of 107 mm (4.2 in) of precipitation over 15.5 days. Urnäsch has an unemployment rate of 1.33%. As of 2005, there were 215 people employed in the primary economic sector and about 96 businesses involved in this sector. 246 people are employed in the secondary sector and there are 28 businesses in this sector. 496 people are employed in the tertiary sector, with 79 businesses in this sector. There are just under 100 farms and 18 hotels and restaurants in the village. The Museum für Appenzeller Brauchtum and the Mill House along with the Mill are listed as heritage sites of national significance.